Pintabians have a white coat with large coloured patches, white legs and a white back. The breed has only been officially recognised since 1992 and so is still very young. It resulted from horse breeders� fascination with crossing purebred, single-coloured Arab horses with Pintos with spotted coats. 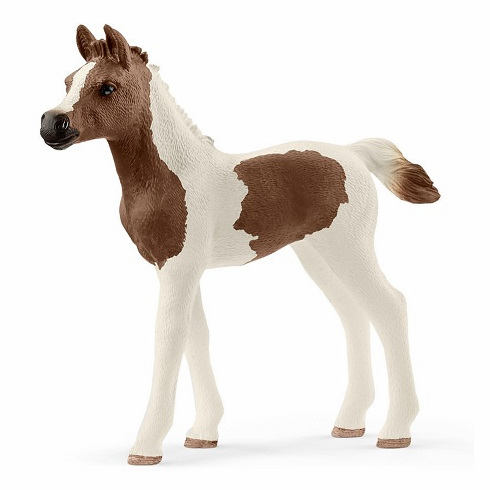 The Pintabian Foal measures approximately 3.1 inches tall.